Since July 1 is important for Canada, (HAPPY CANADA DAY TO MY FELLOW CANADIANS! 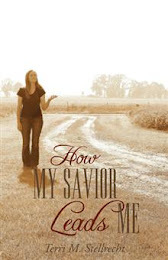 ), I have selected a fantastic book to review today. While at the Credit Union one morning in early June, I noted their news board. 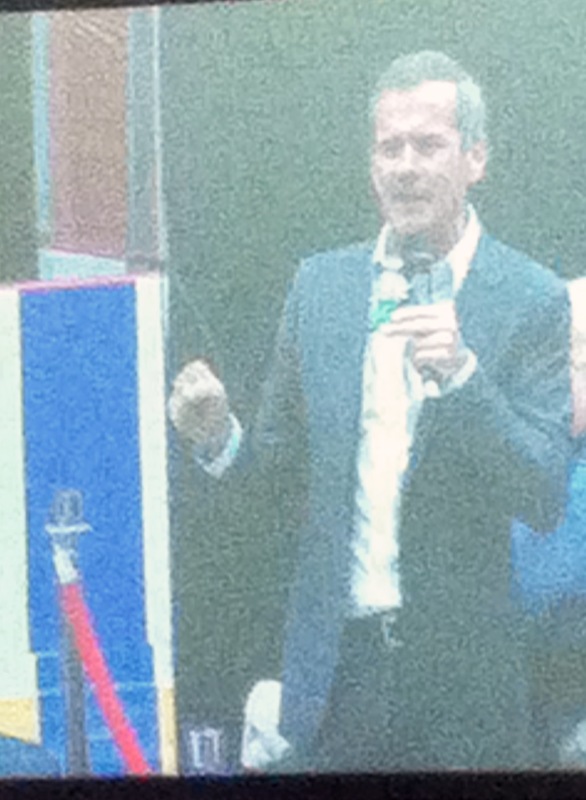 On June 25 Chris Hadfield was coming to Truro, about two hours’ drive from where I live in Nova Scotia. Oh. My. Gosh! I excitedly told my sister who went online and obtained tickets for five of us to go hear him speak. I headed to the bookstore to buy his book — and one for my sister for her birthday. What a good decision. This well-written book, An Astronaut’s Guide to Life on Earth, is full of “AMAZING”, not to mention how I feel about Chris Hadfield – the Canadian astronaut who was commander of the International Space Station. When Chris was nine years old he watched – on a neighbour’s TV on July 20, 1969 – the Apollo moon landing, and knew right then what he wanted to be when he grew up. From that point onward everything he did was to obtain his goal to be an astronaut, even though here in Canada there was not yet a space agency. In An Astronaut’s Guide to Life on Earth Chris Hadfield tells about his journey. After the Introduction appetizer, he has divided the book into three sections: Part 1 – Pre-Launch; Part 2 – Liftoff; Part 3 – Coming Down to Earth. This is an exciting, interesting, incredible adventure told in an easy-to-read way. Chris Hadfield‘s humility and humour shine through as he shares what he has learned and accomplished both on and off Earth. What he had to do to realize his dream is daunting. What he shares about life is sound and inspiring. This book is thoroughly enjoyable. It is not only about travelling and living in Space, but also about his work as a fighter jet pilot when he lost several friends in flying accidents. In flowing conversational language he takes us all through the difficult journey that opened his way into NASA and eventually to commanding the space station where he conducted a record-setting number of scientific experiments. He also handled emergencies while in Space and became well-known for his activity on Twitter and his incredible photographs taken during his five-month stay on the space station he had helped build. If you enjoy non-fiction, An Astronaut’s Guide to Life on Earth by Chris Hadfield is such a good book to spend time absorbing. The information he provides is riveting. Even if you aren’t sure about the genre I recommend you give this book a try. It is so worth it. 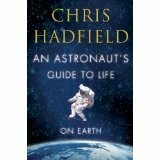 If you buy only one book this year, may I suggest it be An Astronaut’s Guide to Life on Earth by Chris Hadfield. It will educate and inspire you. You can find An Astronaut’s Guide to Life on Earth listed on my BUY THE BOOK! page.